Ocana™ use patented AqueousPure™ innovative method for bioactive extraction of resveratrol. It increases the water’s ability to solubilize bioactive compounds without the need for chemical solvents.Resveratrol is a very potent antioxidant for the support and maintenance of cardiovascular, nervous, hepatic, and immune health. 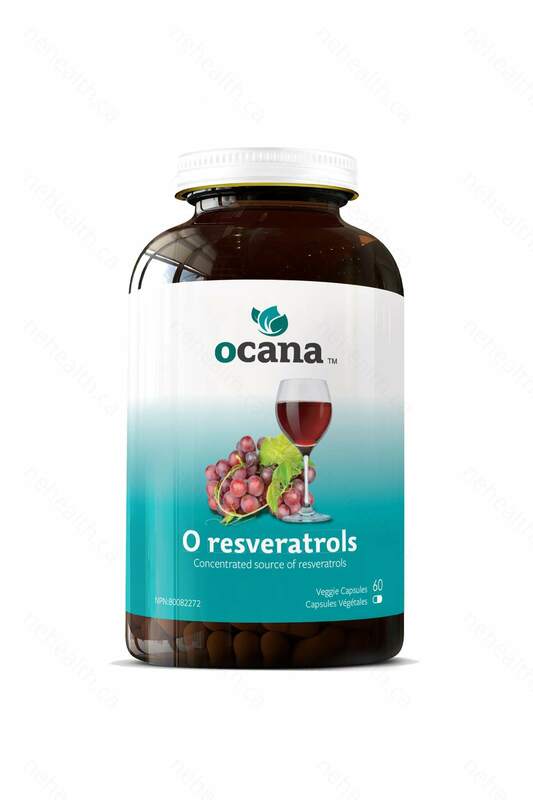 O Resveratrols puts together the trans-resveratrol from japanese knotweed and red wine extract, providing the best ingredients that benefit our health. 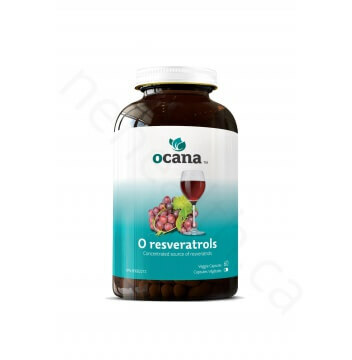 Resveratrol is a polyphenolic antioxidant mainly found in grapes and berries. It contains various phytonutrients, especially anthocyanins, which not only protect the body from free radicals, but also reduce cardiovascular diseases. Resveratrol can also enhance immune function, prevent cancer, osteoporosis, promote collagen synthesis and anti-aging. In addition, the red wine extract is added and its grape polyphenolic factor further magnifies the effect of resveratrol, protects the heart and blood vessels. Moreover, resveratrol prevents skin aging by whitening, moist and elastic the skin. Non-Medicinal Ingredients: Microcrystalline Cellulose, Hypromellose, Magnesium Stearate.